The two global sports icons, MILO and FC Barcelona, embark on its 4th year partnership aimed at enhancing the quality of life of children through a more healthy and active lifestyle. The partnership brings together MILO and FC Barcelona's shared belief of youth development through sports and the values learned from them. 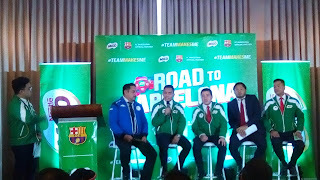 This year, MILO Philippines launches the Road to Barcelona, a selection camp that will scout for the next football champions and give them a once-in-a-lifetime experience training in Camp Nou, the home stadium of FC Barcelona. By linking with FB Barcelona, MILO Philippines looks to help build the dreams of kids by providing them access to the world-class coaching and venues, and inspiring them to be physically active and healthy. 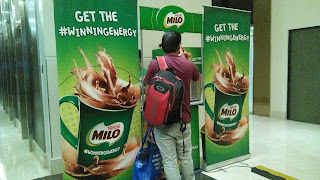 The global partnership was first announced in November 2016 and since then, MILO Philippines become the official cocoa malt beverage of FC Barcelona. 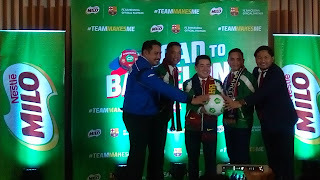 With the integration of FC Barcelona, MILO Philippines will continue to grow and support its grassroots sports programs while leveraging on the culture and values unique to the club. This year, MILO Philippines will be sending a team of 10 kids to participate in an international training camp to be held in Camp Nou. 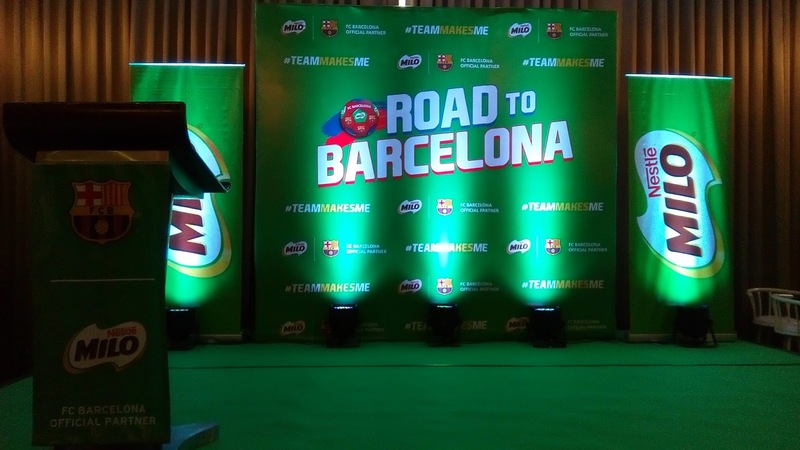 More than that the skill level, the players will also be chosen according to the MILO and FC Barcelona values they exemplify. The selection criteria puts importance on the right mix of values (60%) and skill (40%) exhibited by these young athletes through the sport. FC Barcelona prides itself with five principal values that are aligned with the spirit of MILO's brand essence of nourishing ambitions and these are humility, effort, ambition, respect, and teamwork. Local selection camp will be happening on September 2 to 3 at the McKinley Hill Stadium in Taguig City. Two deserving members of the team will be granted an all-expense paid trip in recognition of the skills and values they espouse. While MILO and FC barcelona will be granting the two kids an opportunity they would otherwise never have imagined, to train with international pros for one of the world's most prestigious sports organization, the remaining eight will be chosen based on the local camp ranking system. Expert panel composed of executives and officials from MILO Philippines, the Philippine Football Federation, IGNITE Sports Group, and the visiting FC BArcelona Spanish coaches will carefully deliberate on the most deserving young footballers in the invitational camp. The selected group will be representing the country during the MILO-FCB camp in Barcelona happening on October. 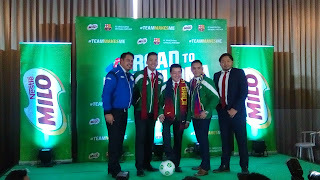 Its a four day program in Camp Nou, highlighted by the Escola football clinic, Camp Nou classroom sessions and museum visit, city tour, and interactions with FC Barcelona coaches and teams from participating MILO countries such as Malaysia, Indonesia, Vietnam, and among others. Over the next four years, there will be key initiatives from the brand and football club to energize kids both locally and globally. 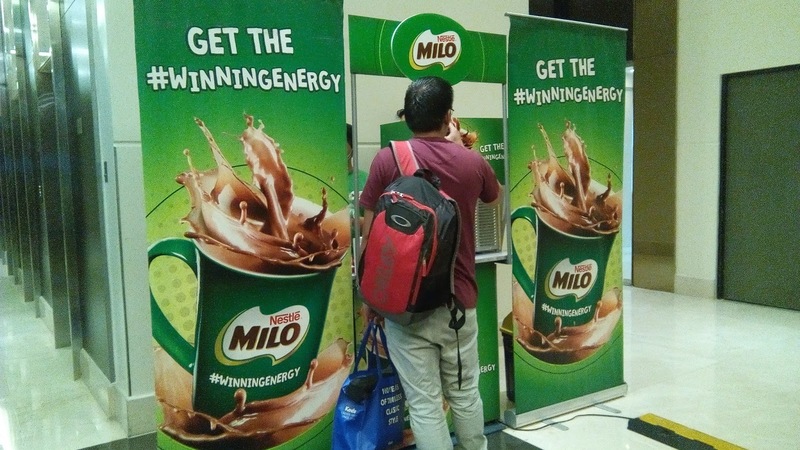 Tournaments, special trainings, and merchandising efforts are among the many plans in store for the different MILO markets worldwide.